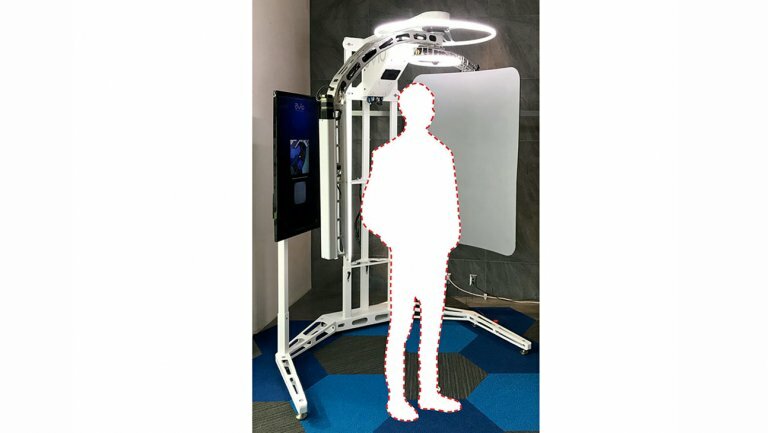 A machine that looks like an airport security body scanner aims to bring studios 360-degree imaging. A digital imaging startup is in talks with several Hollywood studios to offer a visual effects solution: faster 3D facial scans of actors. The Newport Beach, California-based company, Ovio, originally designed the tech for plastic surgeons and has now partnered with 20th Century Fox president of postproduction Ted Gagliano, an adviser and investor in the company. “Hollywood has been scanning actors for a variety of reasons, primarily in visual effects, where a digital double or other such use is needed,” says Gagliano, adding that he views Ovio as a more flexible way to get an “accurate source file” for uses such as creating avatars for costume designers or virtual and augmented reality production. The technology — which looks like souped up security scanner that you might see at an airport — can create a 360-degree 3D scan in 12 seconds. It was built by another company advisor, Glenn Derry, who contributed to the development of the virtual production systems used on Avatar and The Jungle Book. Ovio is looking to make its technology available using a leasing program to studios, but declined to comment on the specific costs of deal pricing. While 3D scanning an actor’s face is common in Hollywood, systems vary in terms of how they work and are used. For instance, USC Institute for Creative Technologies’ Light Stage facial-scanning tech was used in such films as Gravity. Scans of actors also have been used in delicate instances, such as after the death of Paul Walker in 2013, when scans of his brothers were used to complete Furious 7, which was in production at the time.